The Internet has in many ways changed our world. Not only the globe seems to have shrunk but everything is now just a click away. A few years ago whatever you thought only to be professionals’ domain is no longer so, like, forgetting the wedding cards printed, one had to approach a printing agency or the wedding card printer who would ask you to select from the given samples and the printed wedding card would have everything but one: personal touch. >These wedding cards would seem very impersonal and formal where the real emotions of the host will be missing. The use of modern technology has even solved this issue and given you the plethora of choices to choose the image or content of the wedding card from different websites which offer templates that can be customised to suit one’s personal taste, choice and liking. These wedding invites are called E-Wedding Cards. Nowadays, they have become the cheapest as well as convenient way of inviting your friends, relatives and colleagues to your big day. >With a genuine and authentic service provider, creating your own customized designer E-Cards is the simplest of the tasks if you have the basic knowledge of the functioning of the computers. What you need to do is to choose a website which has ample variety of free wedding invitation templates with innovative and creative designs that will be forever etched in the memories of your guests for their incredible brilliance and novelty of ideas. >It is time to bid adieu to your traditional invites of yesteryears and adopt the technique which create a personalised invite for you without spending much money or time. This effortless method involves very easy to follow steps. Begin with choosing a template that has appealed to your senses. Secondly, after the selection of a template, customise it by choosing any personal details that you wish to add including timings, venue and the sequence of events. Thirdly, once the personal details are taken care of, attach a video or pictures uploading them from your documents to customise the invite as a personal card. Fourthly, choose your colour, font, images, and background to design this card. Fifthly, send this designer card through E-mail or post it on social media like Facebook or Twitter. >If you do not plan to upload or attach any of your personal pictures, we give you a plethora of choices to choose from the layouts that our accomplished as well as highly talented designers create to give you something exclusive as well as unique. These paperless invites give you the complete freedom to choose or self-design your invites. 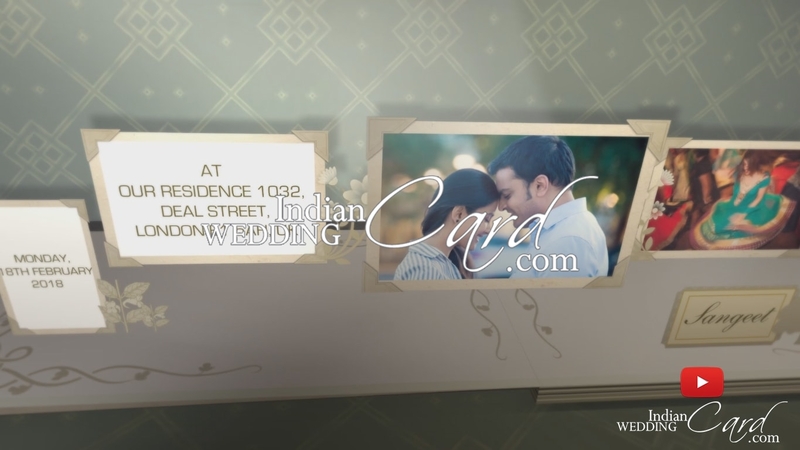 Our categories of E-Wedding cards include Ethnic, Contemporary, Religious, Unique invites, which you just select and send your personalised text to us. 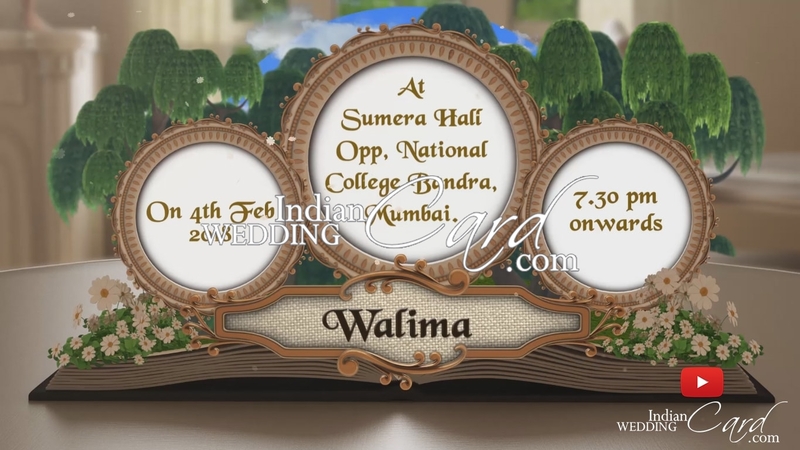 With your approval, we will shape and design this most exquisite wedding invite for you in the form of MP4 file which turns into your own E-Invitation card. 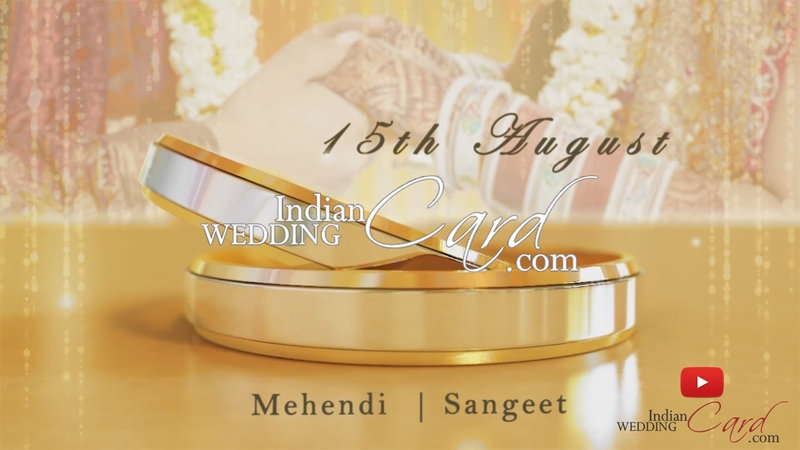 Visit Indian Wedding Card and enjoy being different.